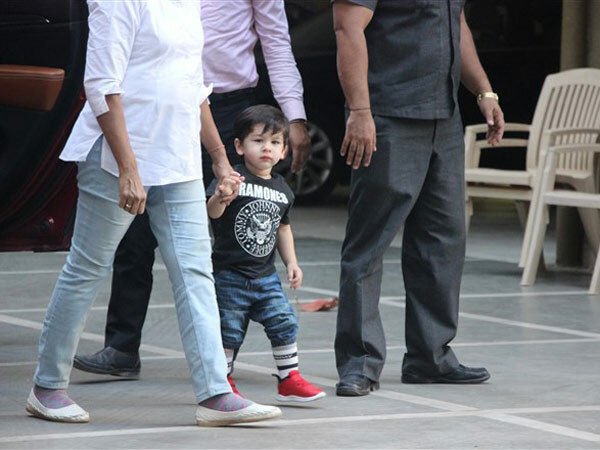 Taimur Ali Khan is a regular favourite to the paparazzi and is snapped almost on a daily basis. Today, Taimur was snapped going to his play school with his cousin Inaaya. Ajay Devgn and Kajol’s daughter, Nysa Devgn was out and about in the city with her friends on Saturday. 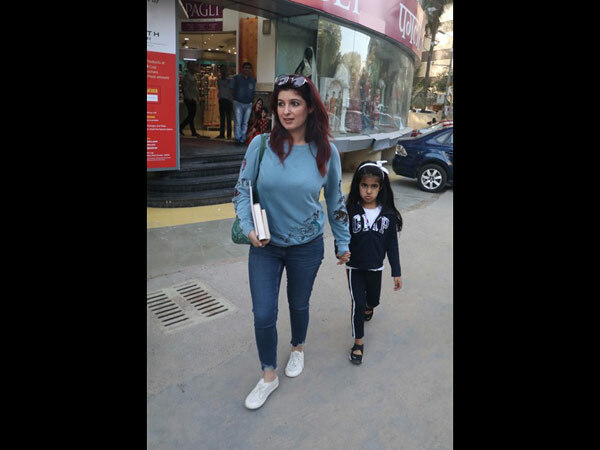 Twinkle Khanna and her daughter Nitara were spotted at a book store today. Kunal Kemmu was looking fresh after a salon session when he was snapped by the paps. Check them out in these pictures! Taimur Ali Khan has become a celebrity that fans are obsessed with and he is just two years old! We look forward to a daily dose of Taimur photographs to make our day, and so we have gotten accustomed to watching Taimur grow up. Today, the little Nawab was snapped as he was going to his play school. He looked cute as always in a black tee, denims, and red sneakers. Having grown used to seeing the paparazzi around, Taimur almost always looks directly into the camera lens whenever he is snapped! 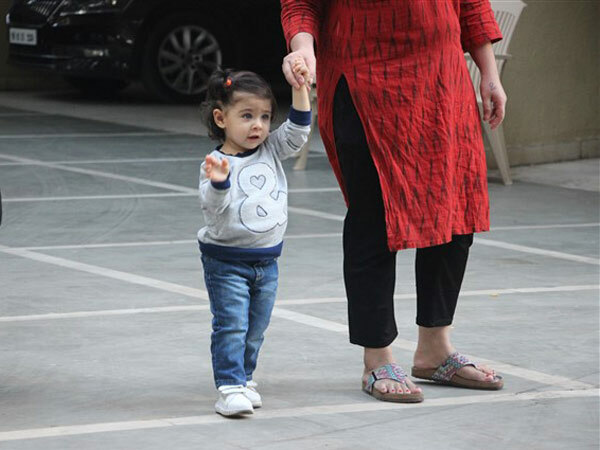 Kunal Kemmu and Soha Ali Khan’s daughter Inaaya Kemmu was also snapped at the same play school as her cousin Taimur. She looked adorable in a grey sweatshirt and jeans, with her hair in cute little pigtails. Inaaya and Taimur are quite close and are often seen on play dates with each other or hanging out at each other’s house. Ajay Devgn and Kajol’s daughter, Nysa Devgn was spotted out and about in the city with her friends on Saturday. Nysa smiled for the cameras sporting a yellow tank top and flare bottom jeans, and wedge sandals. Twinkle Khanna and her cute daughter Nitara were spotted at a book store on Saturday. It is well known that Twinkle is an author whose first book, Mrs. Funnybones made her the highest selling female writer in 2015. Twinkle looked pretty in a casual look, sporting a blue printed sweater with denims, and white sneakers. Her daughter Nitara too sported a casual look in a Gap zip up jacket, a white tee, and dark blue tracks. Kunal Khemu looked fresh as he stepped out of a salon on Saturday. Kunal sported a casual look in a red t-shirt and black sweatpants.